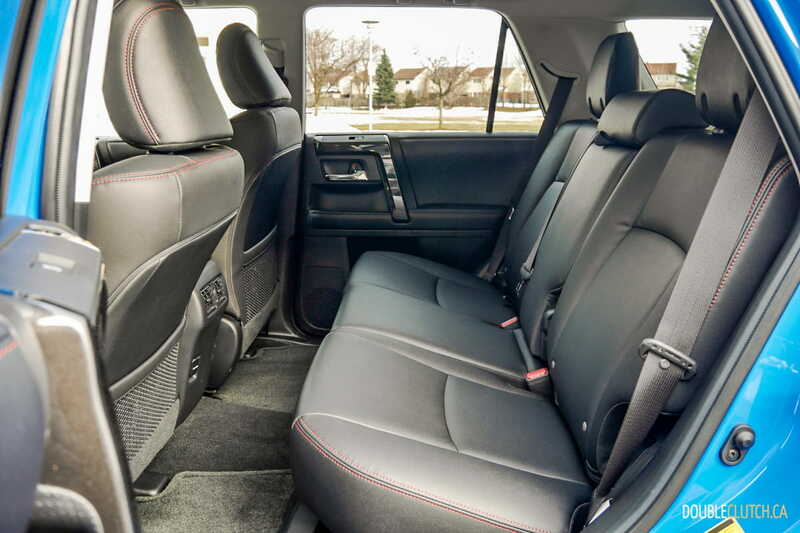 They bring a sense of dependability for when one needs comforting. 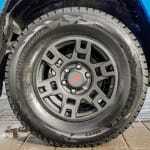 If you were a chef looking to bring these dishes to your restaurant, how do you go about improving such a classic? 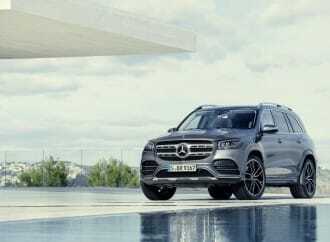 You might dress the dish up differently by a change of garnish, or tweak the recipe by using a slightly different type of cheddar cheese, but you certainly will not go the great length to recreate the dish, as you risk offending the people who like it, and not be able to convert the ones who don’t. In the automotive world, there are certain models that are the equivalent of a mac and cheese. 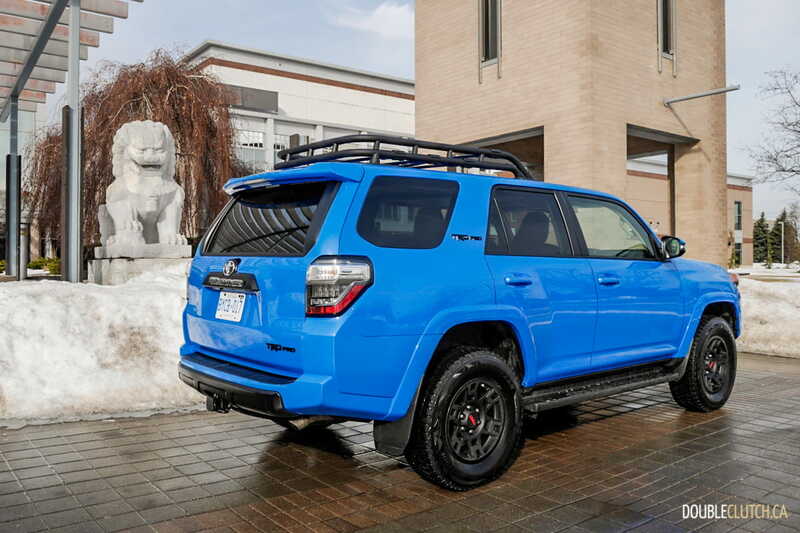 We have one of such on hand this week; the 2019 Toyota 4Runner TRD Pro. 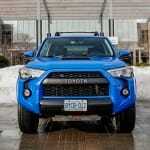 Toyota trucks (namely the 4Runner, Tacoma, and Tundra) have developed a cult-like following, with widespread fanbase built based on their rugged styling, unbeatable reliability, and off-road capabilities. 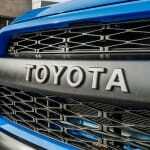 Media has also contributed tremendously to Toyota trucks’ popularity, flooding the Internet and enthusiasts’ minds with images of an indestructible red Hilux that BBC’s Top Gear failed to destroy using fire, water and explosives. 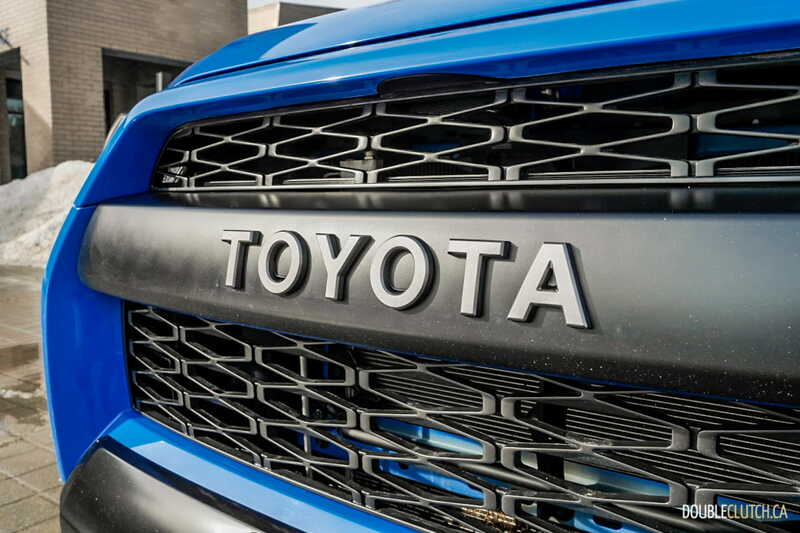 Let’s also not forget the toasty Tundra that, along with its owner Allyn Pierce, became a national hero after it braved last year’s California wildfire not once but twice to rescue residents to safety. 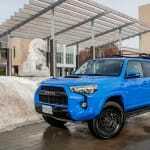 As the fifth generation 4Runner enters its 10th model year, Toyota has made minor tweaks to its most capable off-road trim, the 2019 Toyota 4Runner TRD Pro. 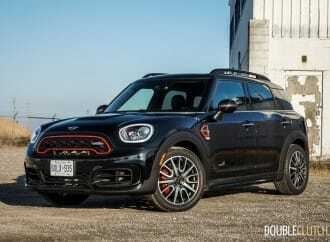 It has replaced last year’s Cavalry Blue with a new Voodoo Blue colour, replaced the Bilstein high-performance dampers with similar ones made by Fox, and added a basket style roof rack. 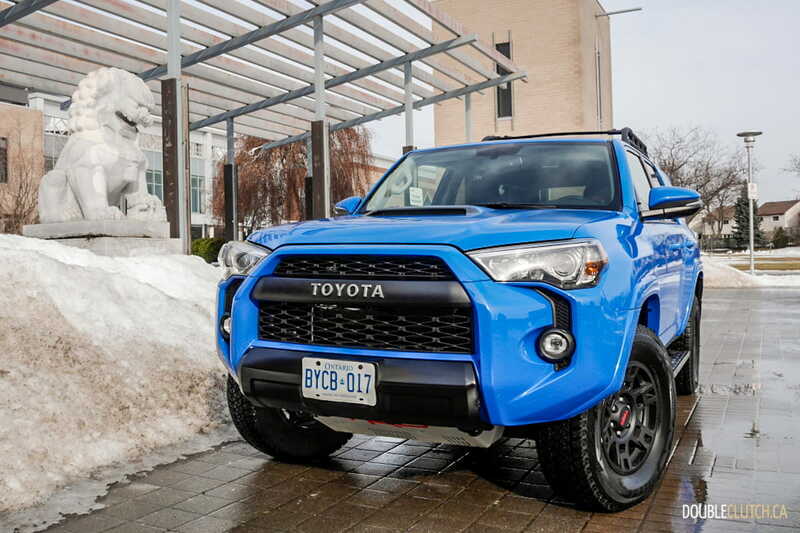 The 4Runner TRD Pro certainly looks the part being one of the more capable off-roaders. 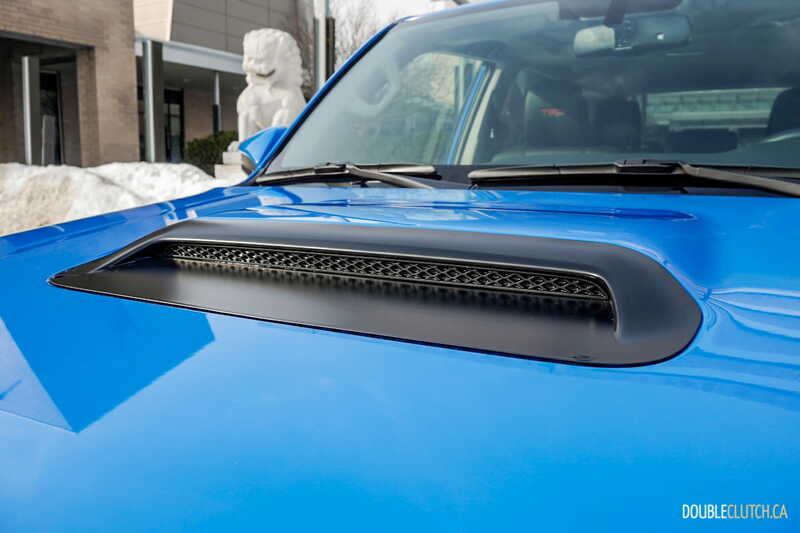 It features a hood scoop, black accents on the front and rear bumper, a prominent quarter-inch thick silver TRD stamped aluminum front skid plate, black TRD Pro badging on the C-Pillars and tailgate, a set of 17″ matte black aluminum wheels with 31.5″ Nitto Terra Grappler all-terrain tires, and a unique heritage TOYOTA badge on the front grille. The rugged look is complemented with the special Voodoo Blue colour that gives it a bit of a cool toy look and we suspect that some of the regular SUV buyers will want to buy this 4Runner TRD Pro based on looks alone. 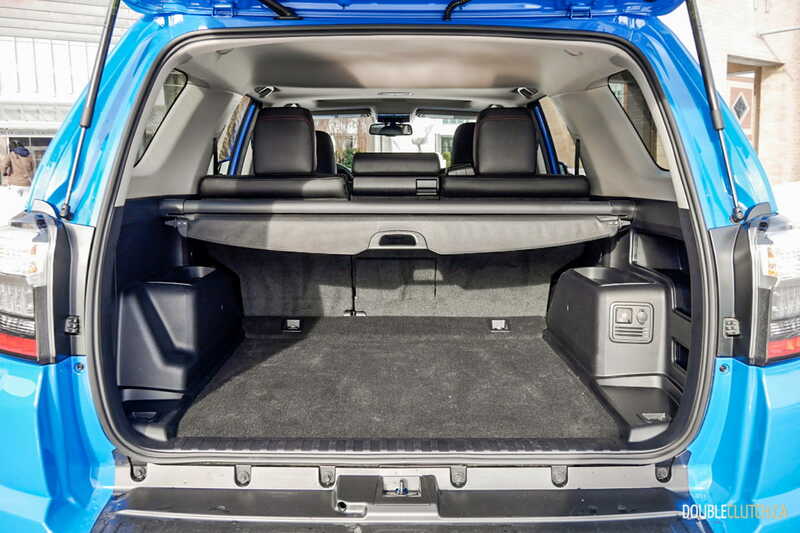 On the inside, the 4Runner is unchanged from 2018 and follows the exterior’s rugged and utilitarian approach. 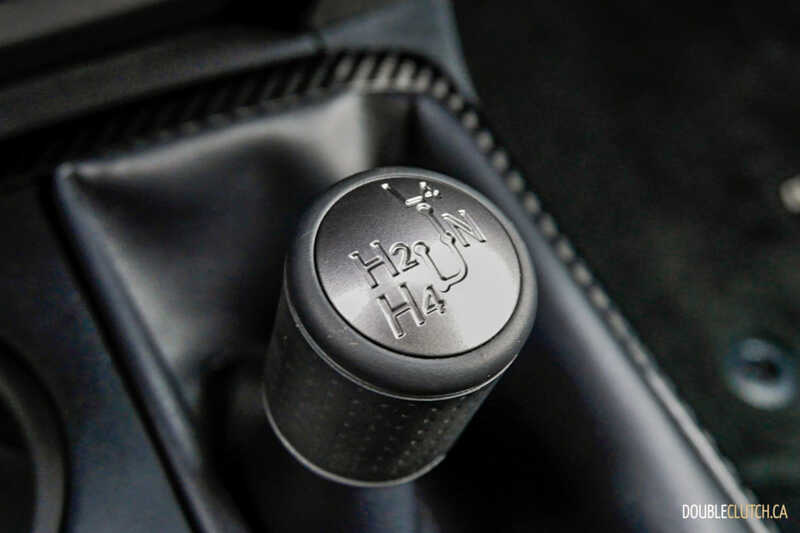 Materials are easy to clean, the seats are made of SofTex synthetic leather for better durability, and all the buttons and dials are large and spaced apart for easy operation even with gloves. 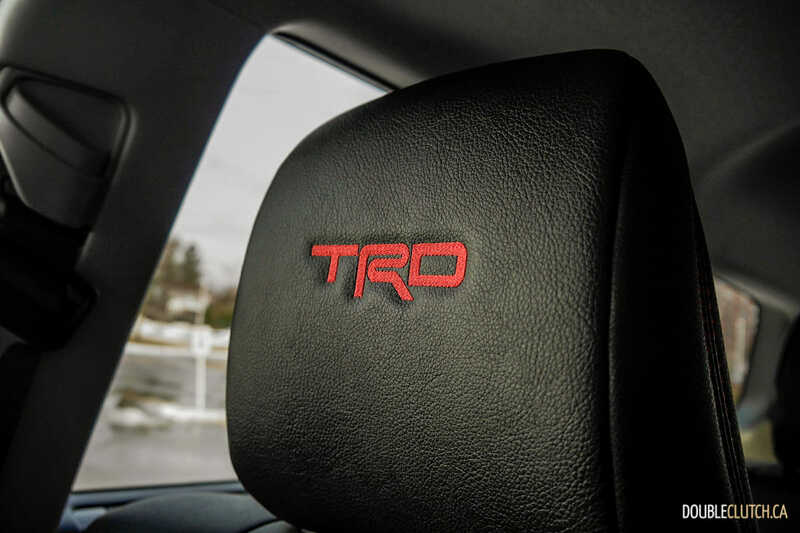 The TRD Pro trim features special embroidery on the front headrests, black seats with red stitching, Optitron Instrumentation Gauges, dedicated TRD Pro shift knob, and special TRD Pro Badged floor mats. It also comes with a touchscreen double-din infotainment unit with built in GPS navigation, and there is no Apply CarPlay or Android Auto connectivity. 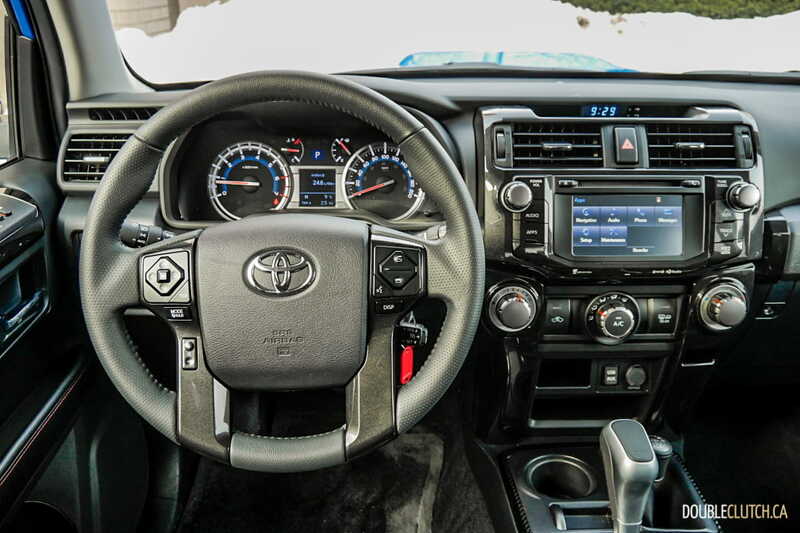 The 4Runner TRD Pro, along with the TRD Off Road trim, feature a special lever-type four-wheel-drive selector in front of the shifter, and two overhead control dials to control the dedicated Multi-Terrain Select and Locking Rear Differential features. 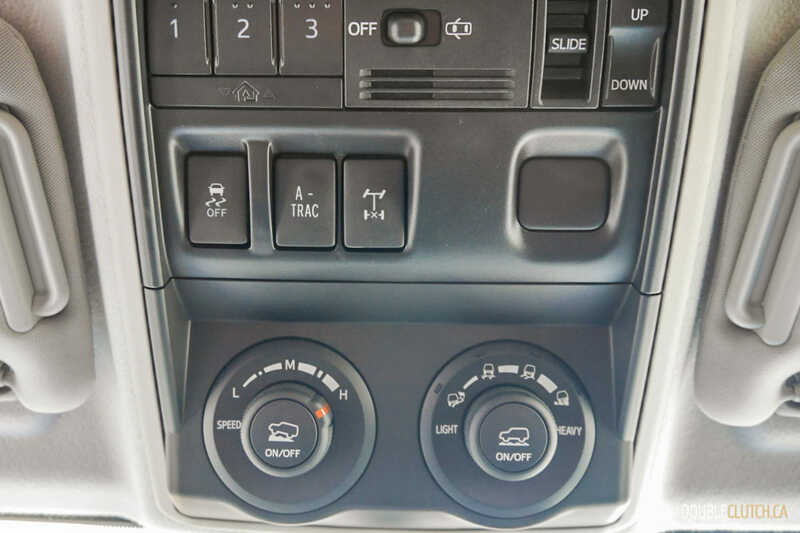 These features allow the 4Runner to use various throttle inputs, brake pressure, and traction control to help its drivers navigate all sorts of tricky landscapes. 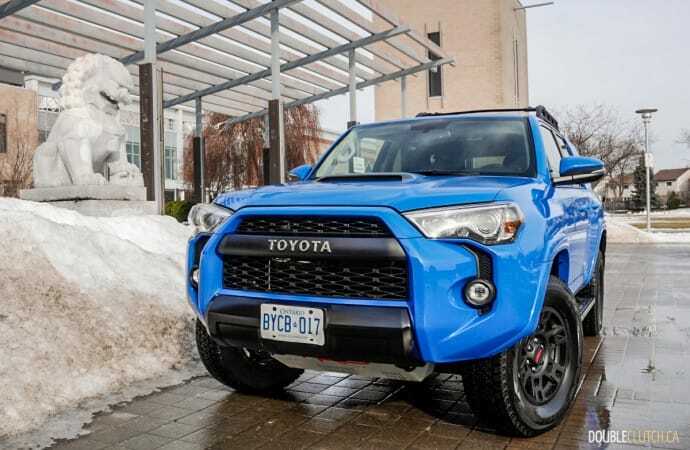 If these additional systems are not enough, the 4Runner TRD Pro and the TRD Off Road are specially equipped with a 4-Wheel Crawl Control system for automatic downhill speed control. 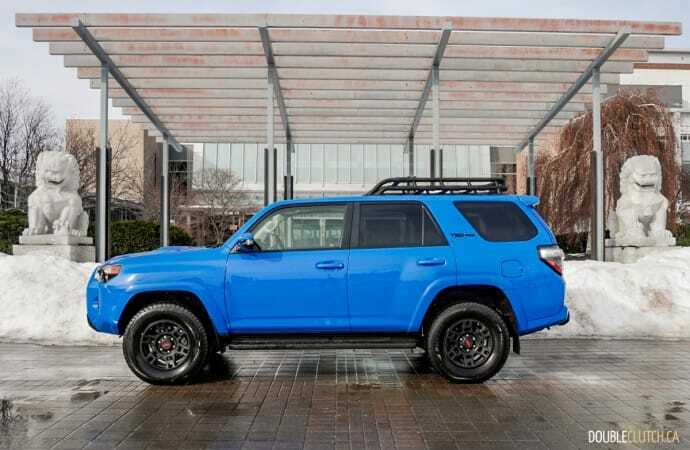 All 2019 4Runners are powered by Toyota’s 4.0L V6 engine (codenamed 1GR-FE), producing 270 horsepower at 5,600RPM, and 278 lb-ft. of torque at 4,400RPM. 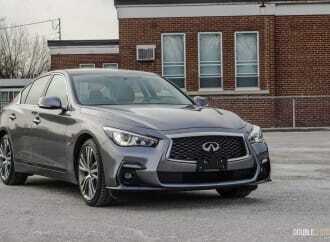 This engine, largely unchanged since 2003, is a dependable workhorse with undeniable reliability. 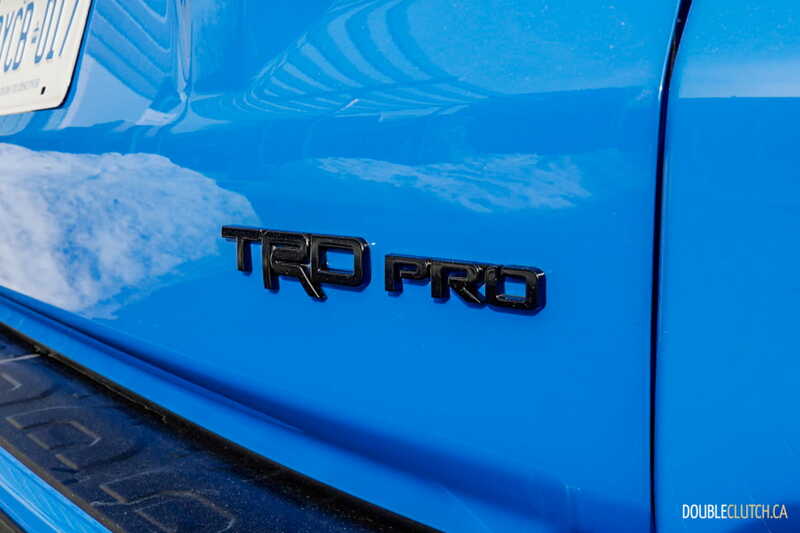 With the help of another oldie but goodie, a five-speed automatic transmission that dates back to 2005, the TRD Pro delivers power all across the rev range. 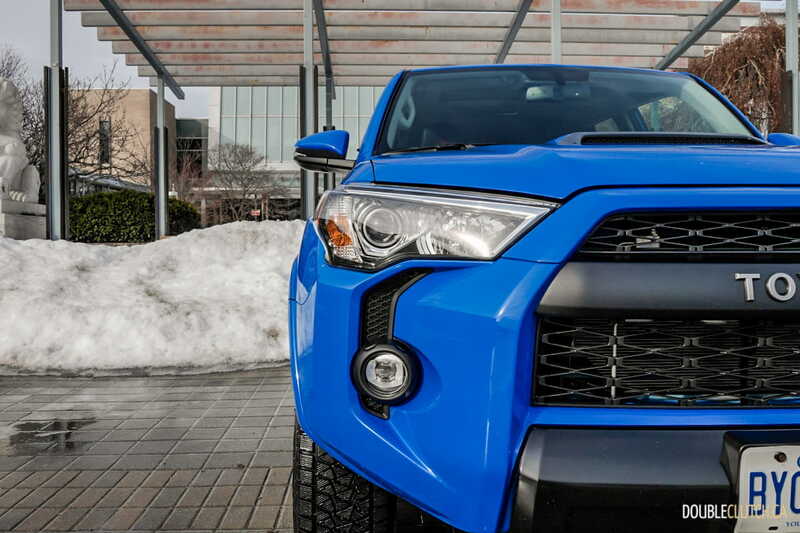 It is not fast by any measure, but the 4Runner will happily respond to any throttle command with a smooth flow of power along with a deep, brawny engine note. The TRD Pro is equipped with a Kinetic Suspension System with coil springs offering 9.8″ of ground clearance, which in turn allows it to climb up and down with a maximum departure angle of 26° and approach angle of 33°. 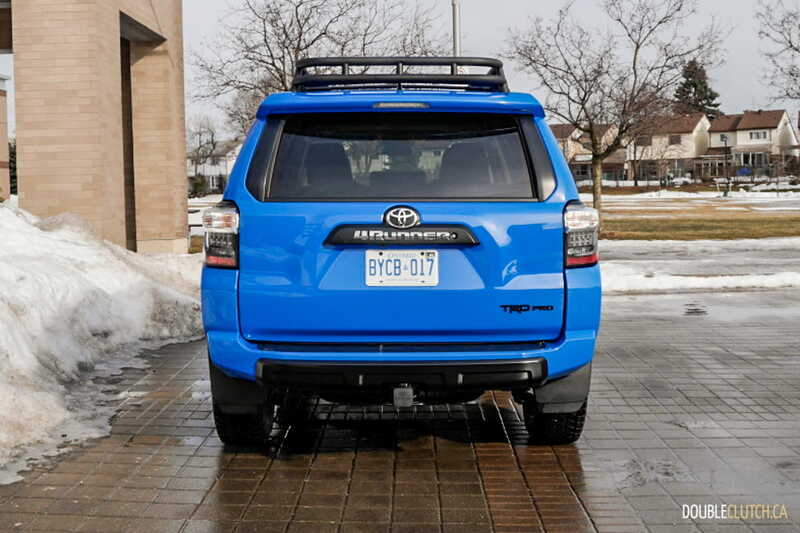 As good as the 4Runner TRD Pro is off-road, its on-road manners are equally impressive. 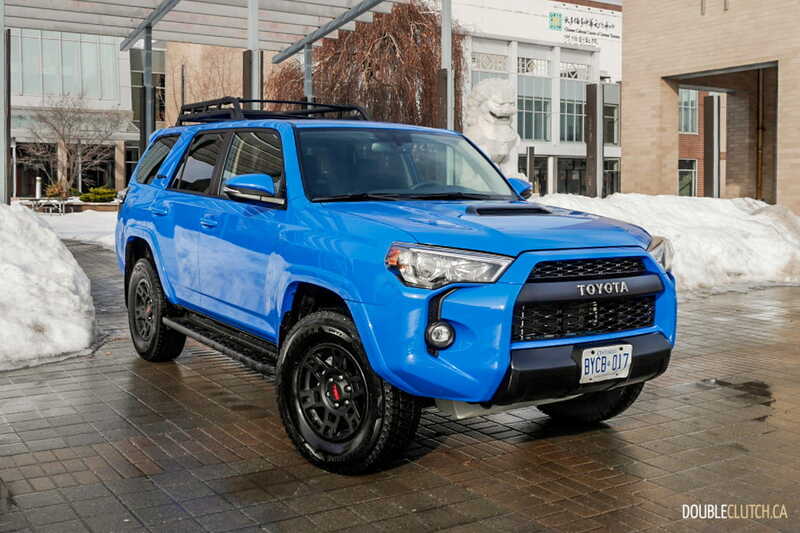 Thanks to its body-on-frame chassis and double wishbone front, solid rear axle back suspension setup, the 4Runner is more comfortable in the city and more stable on the highway than one would expect given its off-road prowess. 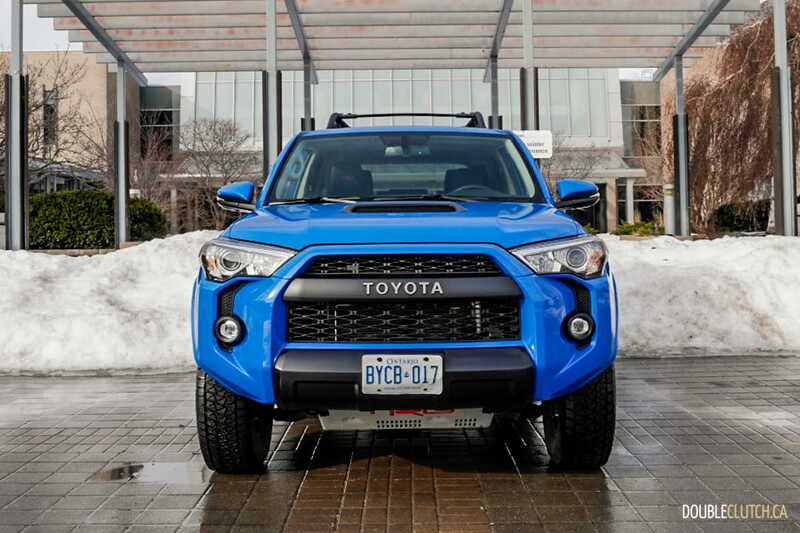 The 4Runner TRD Pro offers decent steering feel, the new Fox-branded dampers are slightly firmer than the Bilsteins last year to keep any body roll minimal, but it still does a good job soaking up most of the road bumps. 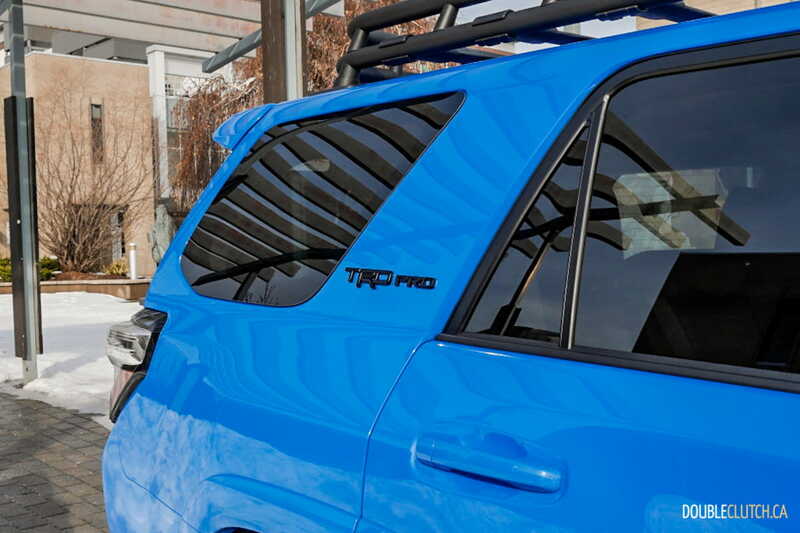 For those who plan to bring along a jet ski or a boat using the 4Runner TRD Pro, it has a towing capacity of 5,000 pounds. 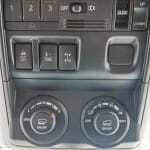 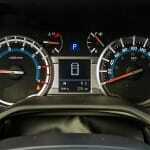 Fuel economy is what one would expect with a car that has an engine and transmission dating back to the early 2000s. 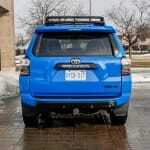 The 4Runner has a rated 14.3L/100km city, 12L/100km highway, and 13.3L/100km combined fuel consumption rating. 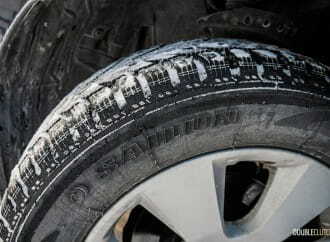 Our weeklong winter city commute returned a close to posted 14.7L/100km. Yes, cars with newer turbocharged engines and CVT transmissions will save you some money at the pumps, but I do not think fans of the Toyota 4Runner will care too much about that. 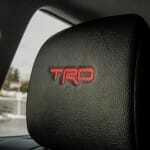 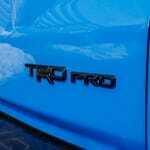 After all the 4Runner TRD Pro is not asking for a big premium here. 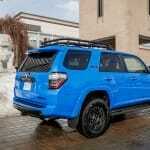 The 4Runner will accept 87 litres of regular grade gasoline. 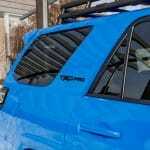 The Toyota 4Runner does not come equipped with any of the Toyota Safety Sense safety assistance systems, which is a bit disappointing given how widely available these technologies are, even within Toyota’s own lineup. 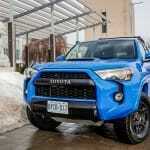 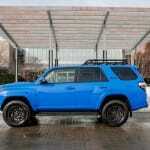 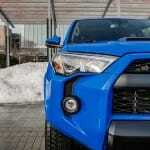 We expect the next generation 4Runner to come equipped with a full suite of Toyota Safety Sense assistance systems. 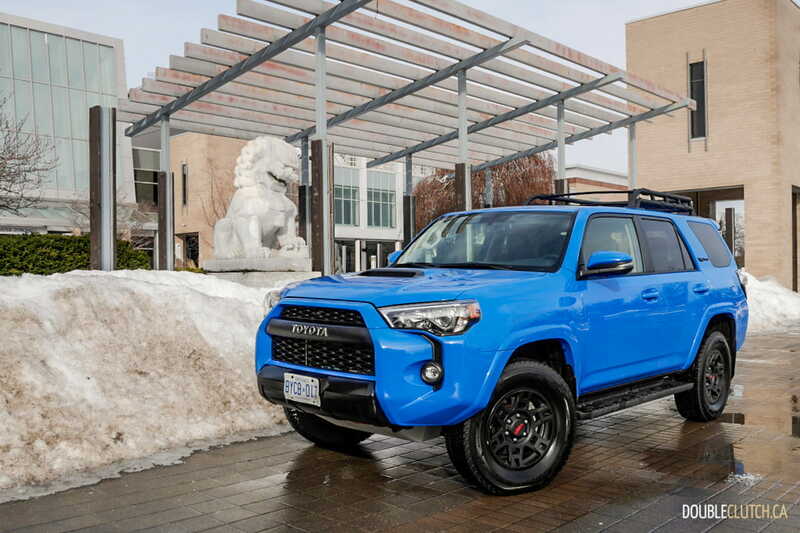 The 2019 4Runner starts at $46,155, while the as-tested TRD Pro is priced at $56,580. 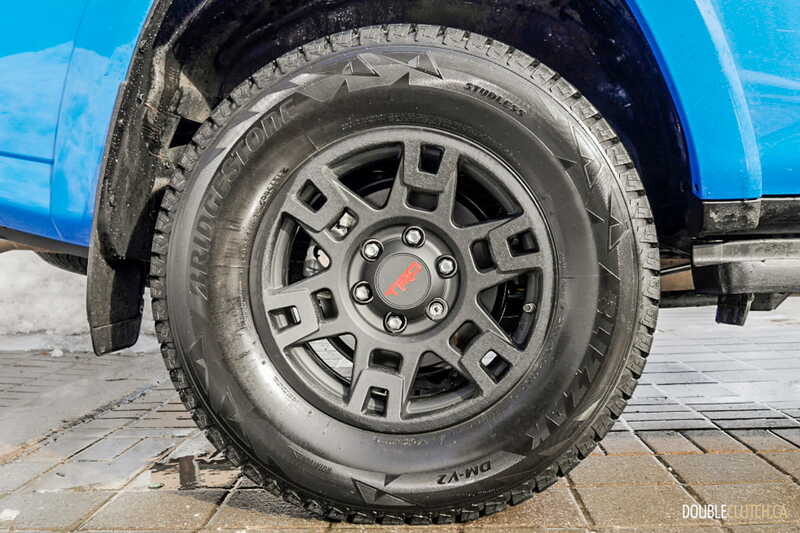 It is priced very competitively against the Jeep Wrangler Unlimited Rubicon (reviewed here). 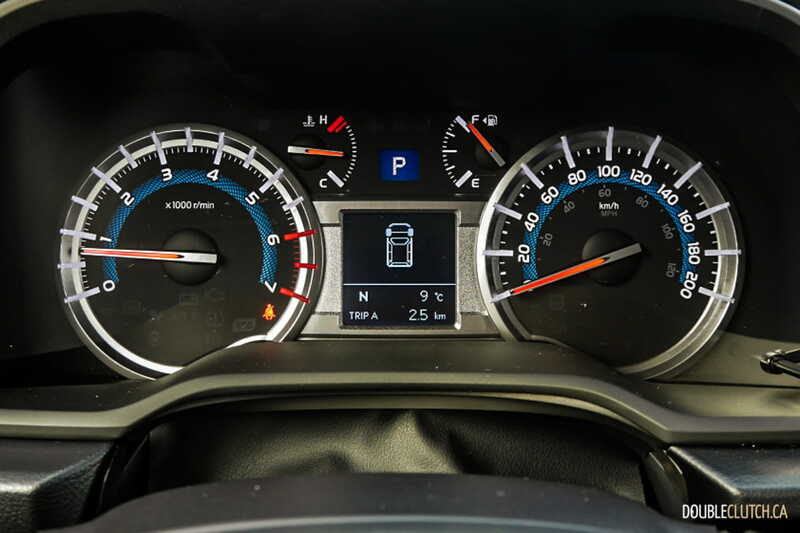 They are both rugged-looking, capable off-roaders that are considered automotive icons with an enormous fanbase, the Jeep Wrangler feels more up to date with its infotainment and safety features, and the 4Runner has better on-road driving feel and more proven reliability. 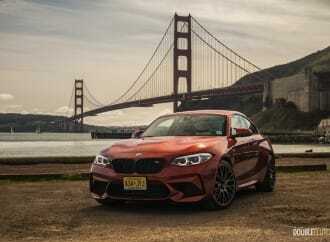 At the end of the day, we do not expect fans to ever cross-shop these two vehicles, and undecided car buyers should give both a test drive to see which one they prefer. 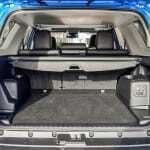 Those who plan to use the 4Runner as a daily city commuter are encouraged to consider the all-new Nightshade package, which comes equipped with a premium JBL audio system, dual-zone automatic climate control, smart key system, heated & ventilated front seats, along with many other comfort features. The 2019 Toyota 4Runner TRD Pro is the automotive equivalent of a macaroni and cheese through and through. 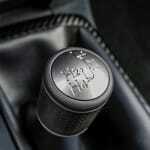 It is a classic staple for the world, and people who love them know exactly what to expect. 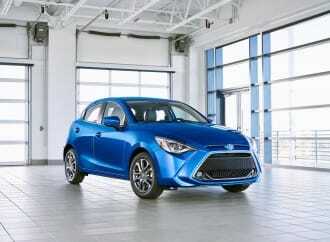 Toyota is smart enough not to reinvent the wheel here and continue to make minor tweaks to its dependable workhorse. 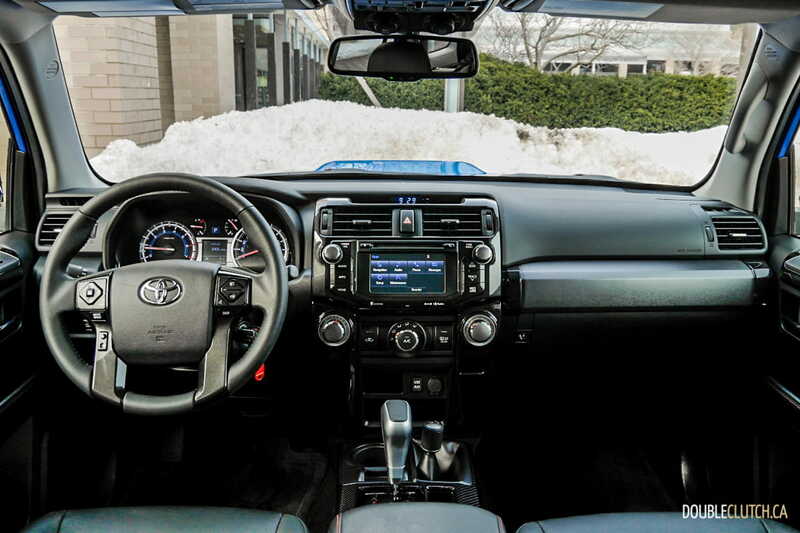 The 4Runner has the ability to handle any terrain, all the while being comfortable enough for the daily commute when you decide to stay on the beaten path. 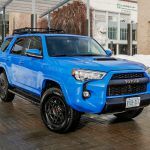 Toyota engineers have a tall task at hand trying to tweak its recipe for the next model redesign, and it will be very interesting to see how much (or how little) they will change to one of the all time classics.